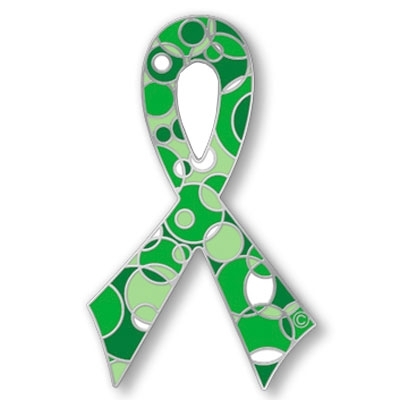 Show your support for Leukemia, Cerebral Palsy, Kidney Cancer Awareness or Go Green (Save the Earth) with this awesome Retro Green Awareness Ribbon Pin. This is one of the many pins available to order in the color green. Please note- these pins are not in stock and will be ordered in for your event or organization. Arrival time is approximately 4 weeks. Minimum order is 25 pins at $7 each. 50 pins at $6 each. 75 pins at $5 each and 100 pins at $4 each. Please email me at czinszer@yahoo.com for discounts on larger numbers of pins.